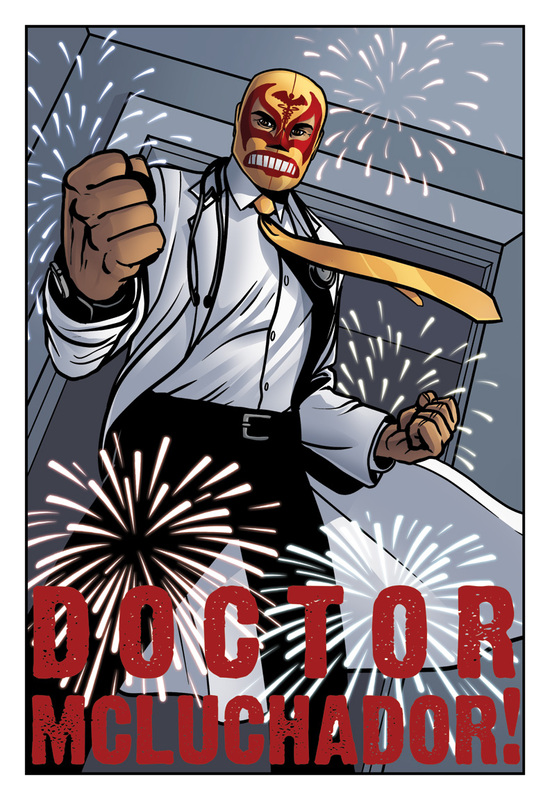 A big thank you to the creators of Awesome Hospital for agreeing that there’s enough room in this town for two doctor luchadors. You should read Awesome Hospital. The Adventures of Dr. McNinja is written and drawn by Christopher Hastings, and colored by Anthony Clark. Dr. McNinja painting by Josh Hass.